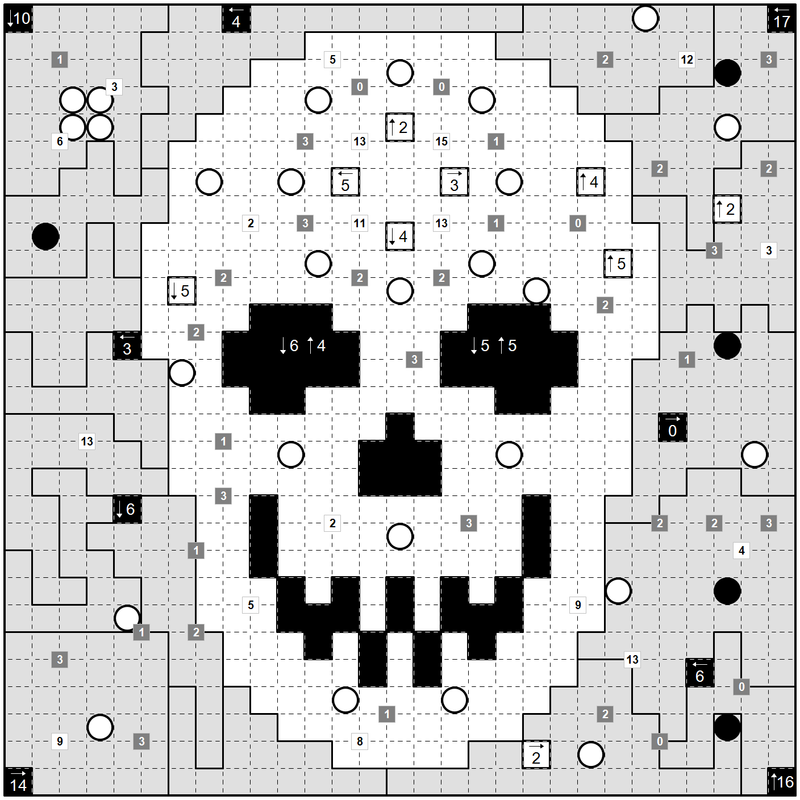 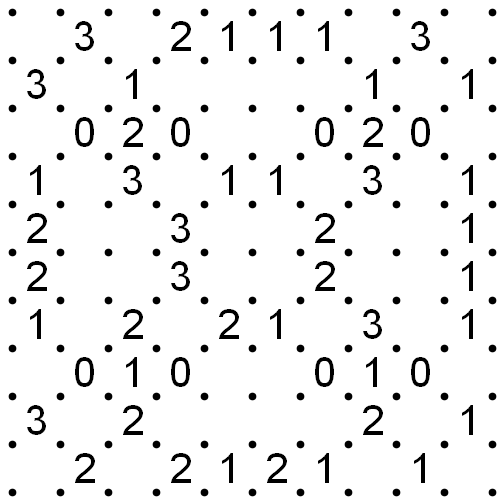 This is a Slitherlink puzzle. 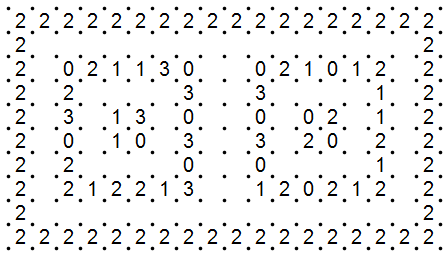 This one might remind you of the IPC 2012 Tapa, and in fact this one is another reject from the IPC (along with 401) for being a little harder than what was needed. 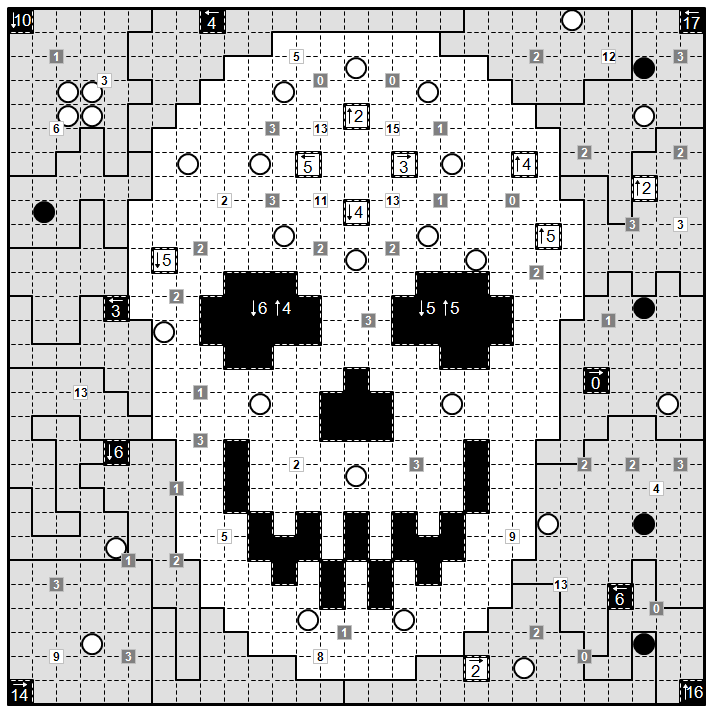 EDIT (5/20/2011 9:26 AM): Only a cosmetic change; the puzzle is the same. 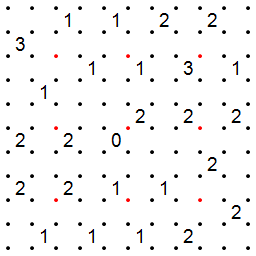 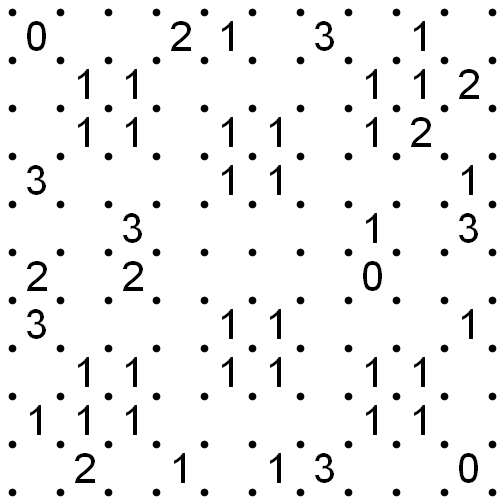 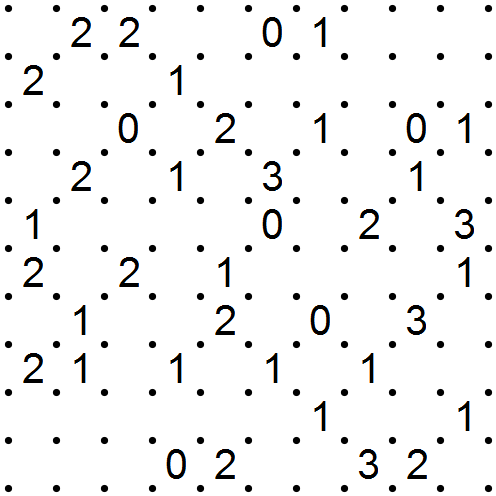 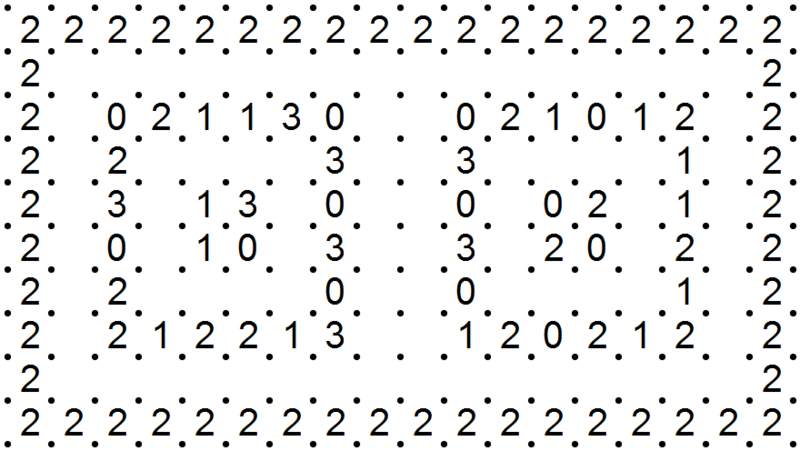 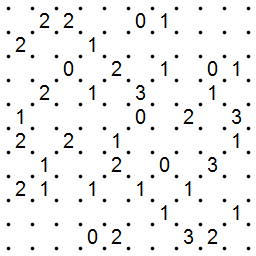 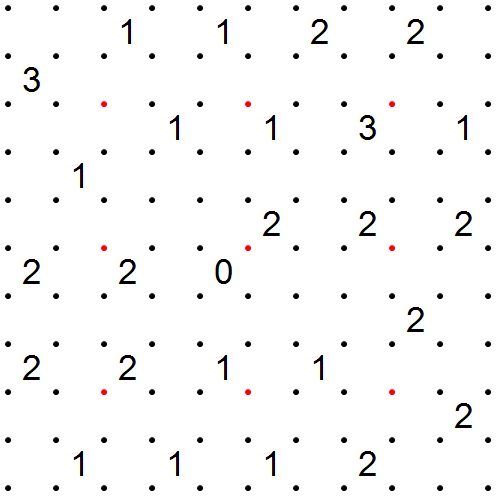 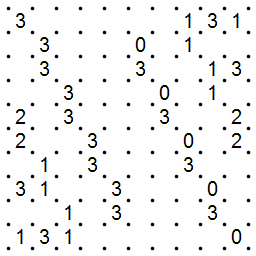 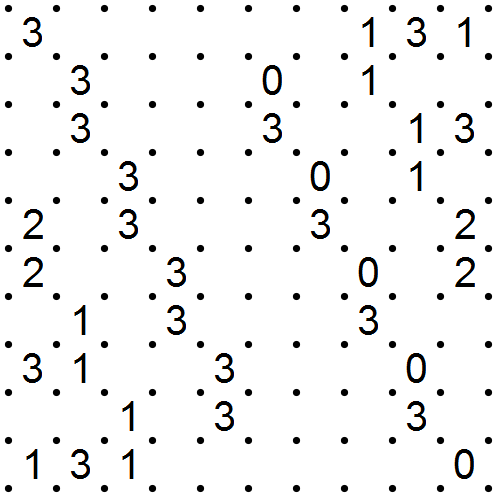 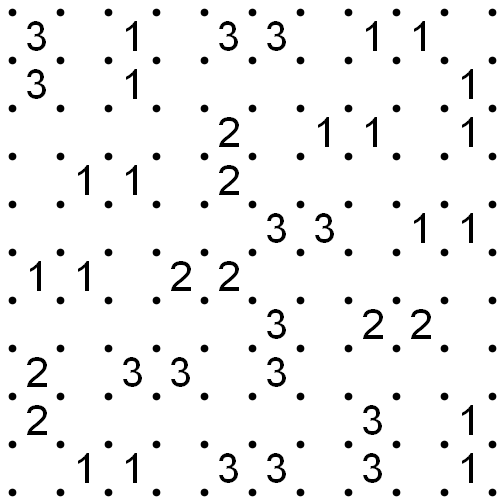 Made some of the dots red so that it’s easier to identify the symmetric pairs.